If you like roasted red peppers, you will love this sauce. 1) Heat olive oil and butter on medium high heat. Add shallot and garlic and sauté a couple of minutes. 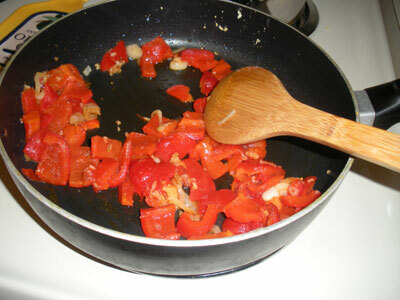 2) Add roasted red peppers and sauté a couple minutes more. 3) Add tomatoes and dried basil. Reduce hit and simmer about 20 minutes. 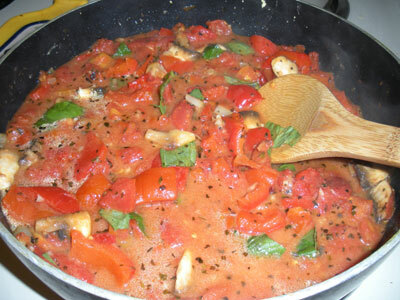 4) Add milk and basil about a minute before serving. Salt and pepper, to taste. 5) Serve with your favorite pasta. 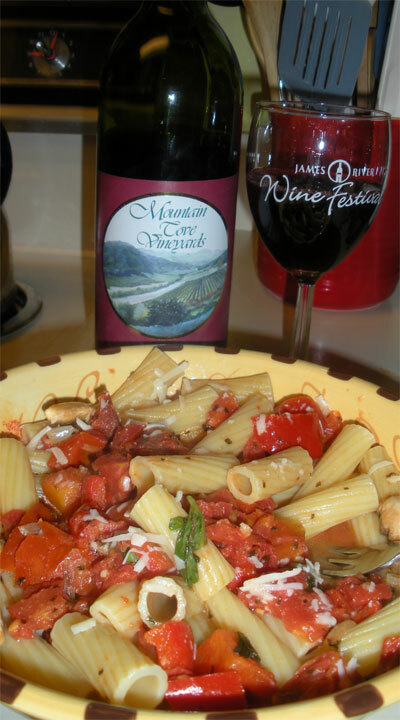 Delicious paired with Mountain Cove Vineyards Tinto wine.